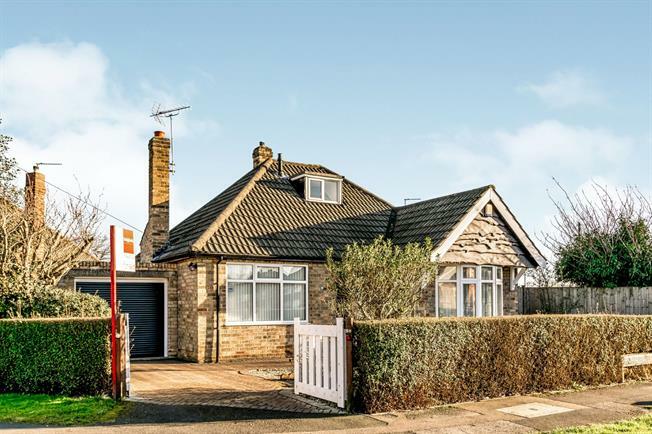 2 Bedroom Detached Bungalow For Sale in York for Asking Price £275,000. This corner plot detached bungalow with driveway, garage and private gardens is well presented throughout and comprises of a large entrance hall, spacious double aspect living room with a conservatory, access to rear gardens through the separate fitted kitchen with integrated appliances, two double bedrooms and a family bathroom, the property also benefits from a useful attic room, gas central heating, double glazed windows, off street parking, garage with electric door, front and rear gardens. No forward chain.